Assyrtiko is a white-wine grape native to the small Greek island of Santorini (now officially named Thera). It is a high-acid wine, and thus typically ages well. Its characteristic tastes are citrus (notably lemon) and minerality. It is usually made unoaked, but a few vintners are now experimenting with oaked versions; as is often the case with oaking, the results are somewhat controversial. Owing to its rapid modern recognition as one of the dozen and a half or so of world-class white-wine grapes (those in boldface in the varietals list to the left of the page), Assyrtiko is now also being grown elsewhere than Santorini—not only around Greece, but even in Australia—but the Santorini bottlings are still widely considered the best so far. Note: some Santorinis are called "Nikteri" (or some variant spelling); that typically indicates a wine made from grapes left to hang on the vine a few days longer, and with some oak influence. Factoid: Santorini was blown apart by a volcano explosion 3,600 years ago; it is often considered to be the source of the Atlantis legends. "It's a high acid grape full of citrus and mineral nuances. It can be enjoyed on its own or with grilled fish and meats. The grape is often referred to as a "white grape in red's clothing", due to the full-bodied wines it produces with an average of 13.5% abv. . . . The wine is bone-dry with high acid toting flavors of lemon and stone fruits with a distinct taste of minerality." "It yields a bone-dry wine that has citrus aromas mixed with an earthy, mineral aftertaste due to the volcanic soil of Santorini. In the last 25 years Assyrtiko has been planted throughout Greece including Macedonia and Attica where it expresses a milder and more fruity character." "Asyrtiko has the distinction of being a southern Mediterranean white grape that ripens to high acidity. Soil, climate and elevation have significant effects on the outcome of vinification. The Santorini whites in which it plays a dominant role are among the most elegant in Greece. It is a producer of fickle must. Despite the incredible structure and agebility of its wines, it is high in phenolic compounds and highly susceptible to oxidation. 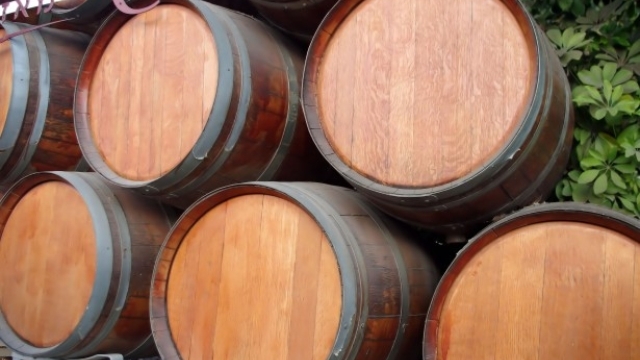 The tendency for Asyrtiko to brown and produce darker aromas as a result of even controlled oxidation has advantages in the vinification of Vinsanto, yet its reaction to oak–especially to new oak–can test a winemaker's skill in barrel selection and timing. The most successful barrel-aged Asyrtiko wines seem the product of a stability-first philosophy in which few chances are taken where the risk of over-oaking exists. Asyrtiko has far more patience for old oak than for new. Some producers striving to create oakier products they believe will appeal to New World sensibilities have fallen victim to the merciless side of the variety. In recent years,its range has been extended as far north as Drama and it is achieving success in the hands of those sufficiently respectful of its slightly volatile nature." "Considered by many experts to be the greatest white grape in Greece, the Assyrtiko is a productive and versatile varietal. . . known for having both high alcohol and high acidity, a trait uncommon for whites from the mediterranean. Two distinct styles are widely sold: an intense and dry version with notes of citrus fruits and minerals, and a sweet version sold as Visanto where the grapes are dried in the sun before fermentation thus creating a wine closer in character to a tawny port than to a botrytised wine. . . The volcanic soils of the island are home to very ancient vines, some reaching 150 years in age. Wines from Santorini are very robust and earthy, while Assyrtiko from other points in Greece are more perfumed and floral." "[I]t’s a wine that is on the fresher side of the continuum. I guess sauvignon blanc might be comparable, but assyrtiko is decidedly more mineral and much less aromatic. One would normally not expect this type of white wine in such a hot climate. For why it works, one only needs to look at the soils." "Assyrtiko originated on the island of Santorini, where it's planted on volcanic soil and produces wines with stunning aromatics, minerality and high acidity. Over the past 25 years, the grape has been planted elsewhere throughout Greece, where it tends to express a milder and fruitier character. The higher acid versions have the potential to age and evolve over 10 to 12 years, something like grand cru Chablis." "[Santorini] Assyrtiko wines are typically marked by lemon, lime, mineral flavors and saltiness. Its citrus characteristic reminds me of a light yellow color. . . [Amyndeo] Assyrtiko is perhaps somewhat richer and fuller than its Santorini counterparts. Although it is unmistakable Assyrtiko, there is a marked difference on the palate. Lemon gives way to apricots and orange zest, the saltiness is replaced by subtle spices. . . [Chios] Athiri-Assyrtiko blend is intriguing and intense, dominated by pink grapefruit, embedded by the creamy texture." ♦ [A] big, rich, full bodied wine and has an expansive palate that clothes its intense minerality and energetic acidity. It's racy, cut, young minerality fades into a more lush mid palate with preserved/softened lemon and some spice. I get a kind of gravelly taste in there too as well as some lemon grass. It's a complicated wine but it's not annoyingly so and is well balanced. ♦ The clear winner in our taste test for its strong citric scents, very dry, salty notes and vivid minerally undertones. An all-round palate pleaser for those who like crisp, but full, dry whites. ♦ Citrus through peach plus a definite salty edge with really bright acidity. Didn't hate it but didn't like it very much, either. Probably much better with sundried mackerel on a beach in Greece, however. ♦ [L]light, really, really dry and lemony, and generally a tasty wine. ♦ This is typically fresh and tangy, with a salty undertone, stony minerality and bright, lip-smacking acidity. ♦ Classic Assyrtiko – crisp, sharply acidic, lots of citrus but with a hint of vanilla, and a medium to long finish. 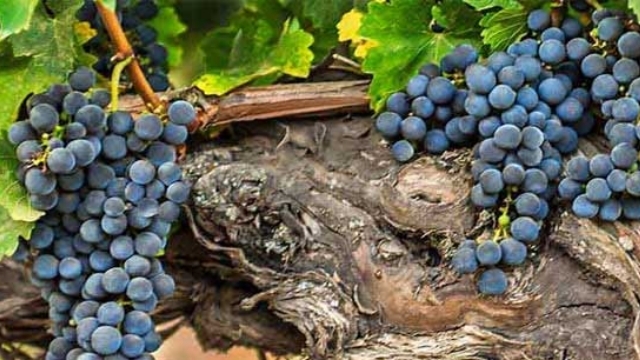 ♦ The wine's primal intensity, intense distinctiveness and marriage of fruit to planet put it on my top 10 list of wines to convince a skeptic of the truth of terroir. It declaims from on high, an emissary straight from the elements: Mountains, winds, sun, ocean. ♦ Very light in presentation, almost completely clear with mild hints of straw. A tight nose that presents strong citrus components and hints of lime. Take a large pink grapefruit, squeeze the contents into a glass and add a spritz of lemon lime. This is what the Argyros presents. The acidity is strong and the finish is tart and steely…pucker up. The Score: A very crisp and refreshing wine that will be a strong addition to Mediterranean food pairings. ♦ Lemony fresh at first, then fattens up slightly in the mid-palate, finishing with a hint of graphite. This is textbook assyrtiko, just enough of everything. Very finessed wine with amazing energy. 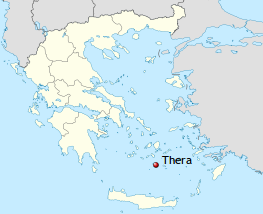 ♦ [A]t a recent tasting of wines from this Aegean paradise, the 2010 Argyros Assyrtiko stood out. . . [It] has a citrus, floral and sea breeze scent. Its volcanic rock vineyard brings a mineral taste into the mix of apple and peach-like flavors. The sea fog that envelops the vineyard at night deposits moisture into the rock and coats the grapes, providing a pleasing saline finish. ♦ The wine is light in colour with greenish tints. On the palate a fresh fruitiness is apparent with the development of a pleasant acidity and minerality, the latter derived from the unique character of the geology. ♦ Clear, straw-colored. Great minerality on the nose, with a clean, citrusy salinity. . . . On the palate, bone dry with nicely balanced acidity and soft peach on the mid-palate. Pair with oysters and other cold seafood. Very crisp and refreshing. 12.5% alcohol. ♦ 12% alcohol; at refrigerator temperature, acidic and shrill; as it warms, it fleshes out, becomes fruit driven and balanced; mostly citrus and white grape juice flavors with citrus pith accents (lending a bitter note that does not overwhelm), more volume and density than expected; balanced with bright acidity and good sustain. ♦ [T]he lemon-zest aroma is particularly evocative. Clean, ripe flavors don't hurt, and a spicy, zingy finish creates a yearning for more, so it's a good thing this white is just 12 percent alcohol. ♦ [T]his dry white has a mineral aroma. The taste is clean, bright and medium-bodied with mineral and citrus flavors. A mild lanolin comes in on the finish. Given that this comes from the island of Santorini, it’s no surprise that it’s a good match for seafood. ♦ [T]he bottle I just tasted was in all fairness quite decent, it is not one of top wines I have tasted from this vintage, but it typifies the varietal and the area. ♦ [It] has a pure focus on white grapes with loads of apple and pear taste. It has a citrus zest end that keeps you coming back for another taste that you didn't taste in the first drink. This is a special pick. ♦ The Sigalas “regular” Assyrtiko is mouthwatering and with a keen balance of fruit to acidity; it’s slightly spritzy in its youth, and a four-year-old bottle had an attractive Riesling-like petrol note on the nose. ♦ Lemon citrus dominated wine with a nice fragrant floral character. Very high mineral component that is very reminiscent of Chablis, yet the density on the mid palate feels more like Meursault. ♣ [T]he first sip . . . delivered a bracing wave of sour peach- and lemon-lined acidity followed up by a thin curtain of volcanic smoke and a mouth-drying, upright, tannic finish. Fierce. Delightful. ♦ Out of about 10 producers on the entire island, only a few make a top quality Assyrtiko. From what I tasted, Sigalas and Hatzidakis were top notch with Argyros close behind. My favorites were the unoaked versions, although some of the oaked versions were delicious and balanced. The wines exhibit unripe peach, white flowers, honey, salty citrus and green tropical notes. Assyrtiko also demonstrates a level of concentration of minerality unparalleled to anything I have tasted outside of France and Germany. The wines have piercingly high acidity, combined with a rich texture and healthy alcohol levels (13.5-14.5 percent ABV) adding lots of glycerol and mouthfeel. ♣ [R]azor-sharp minerals and citrus [are] hand-crafted by ex-mathematician Paris Sigalas into this really delicate but assertive 13.5% bone-dry wine. 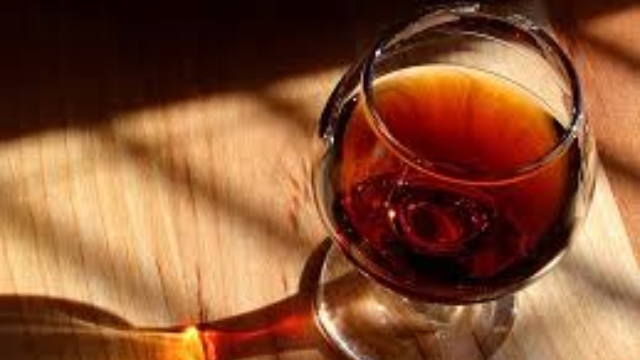 ♦ It seemed elegant and refined, with a lush texture and a beautifully lingering finish. I suspected that was only half the story. Indeed, it was not even half the story and as it turns out it was really shut down. The next day it fulfilled the promises it gave in the first hour or so, fleshing out, seeming deeper and more intense. It still wasn’t done. After letting it air out for awhile on Day 2, this seemingly gentle, young Sigalas became quite intense, the acidity taking charge, the wine still remaining rich and mouth coating. It is crisp and persistent, beautifully put together and impeccably balanced, mingling elegance with that fine structure. It is built to age. ♦ It's rich and full in the mouth but retains an uncanny delicacy and crispness, coupled with an appetising dry finish. The bouquet has a volcanic earthiness that is uniquely Santorini. ♦ Gaia offers a perfect snapshot of modern Greek wine, and its Thalassitis is its calling card, the height of winemaking applied to Santorini's terroir. More delicate and refined, with subtle white spices, Thai basil and sweet lime, and a bit more pulp to the texture that balances Assyrtiko's austerity. Utterly classy. 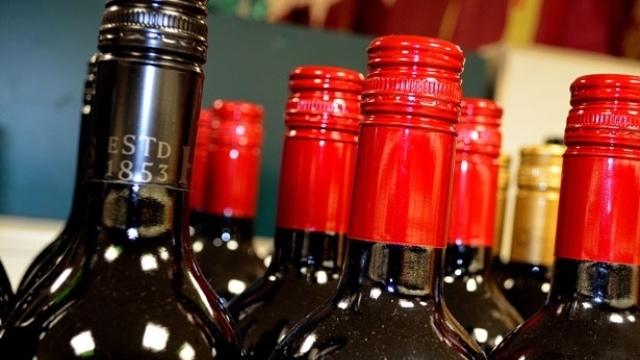 ♦ Bone-dry, mineral, with a screaming high acidity are the hallmarks of the wines. Gaia’s Thalassitis is my personal favourite . . . Sadly most Assyrtiko wines are consumed far too young; after 3 to 5 years of bottle age one will be rewarded for the patience. ♦ With fine solidity and crisp acidity supporting the fruit, plus an amazingly pure, transparent and freshly bottled nuance, this is just lovely on opening, clean and long, although not quite as mouth-coating as sometimes seen. Yes, it seems rather friendly initially, its balance quite impeccable. 'Seems' was a key word there. It was, to be sure, completely unevolved as the subsequent course of events proved. When revisited the next day, it was just a little less friendly and more interesting -- not unusual with young, top of the line Assyrtiko. ♦ In the glass this wine appears clear, non-effervescent and light like a Chablis. Also described by the tasters as light golden or the color of light straw. On the nose this Greek wine had aromas of non-potent lemon and a slight hint of grapefruit. One taster likened the nose to Greek lemon soup. No noticeable whiff of alcohol. On the palate the Thalassitis was very dry, though lively. Tastes of citrus and grapefruit were noted. Not a sweet wine. "Great acidity" was mentioned by a taster. The wine finished fresh, crisp and tart and we all felt it to be agreeable and appealing. ♦ Without a doubt the best Greek wine I have tasted. Absolutely bone dry with "bracing" acidity, minerals, and a very nice fruit melange. Mainly citrus fruits with a tiny bit of tropical fruit (papaya crossed with pineapple), and maybe a touch of Granny Smith. The ABV was 13% and I did not find the alcohol at all intrusive and barely noticed it. ♦ [A] cross between Chablis and trocken Riesling. ♦ Pale straw color with maybe a touch of a hint of copper. A seductive aroma that’s hard to describe: woodsy, earthy, floral, but wildflowers – not just the garden berries. That earthy quality follows right onto the palate. Flinty, crisp. Here’s a wine for an assertive meal. ♦ Pale blond gold in the glass, this wine smells of unripe apples and hints of pineapple. In the mouth the wine is crisp and bright, with flavors of candied lemon rind and wet stone. White flowers emerge in the finish. Nice acidity. 14% alcohol. Score: around 8.5. ♦ More complex than you might expect for the money, this is a glorious white from a country better known for simple summer quaffers. Though lean, it carries more weight than most of its kin, with a lemon-like essence and subtle overtones, suggesting mineral and salty sea air. Sip it slowly and attentively, and this assyrtiko will pay big dividends. ♦ [I]boasts a chalky, austere flavor, vibrant acidity and rich texture, has a structure not unlike fine Chablis, with a taste that’s redolent of the Mediterranean sea in its salty minerality. ♦ In the glass, this Greek wine is a medium honey yellow – really pretty. On the nose, the 2010 Boutari Santorini Assyrtiko is lemony and peachy. In the mouth, it is rich, luscious, with lots of juicy apple notes yet there is a nice level of acidity and crispness on the finish. ♦ I was struck by the freshness of the wine and its minerality, and clean intense flavors of the sea. ♦ I recommend starting with Boutari’s Santorini, 100% Assyrtiko, to get an idea of pure Assyrtiko grape. . . . It has the traditional fresh lemon flavors with a salty minerality and strong acidity. ♦ This is impressive from the first whiff, lightly honeyed and heavily chalky. Then there’s the texture-satin smooth even while the acidity is gripping, the fruit pithy in its savory firmness. It ends with a sea breeze salinity, refreshing despite the wine’s size. On the ripe side, it’s best decanted, perhaps with rosemary-scented pork shoulder. Score – 90. ♦ [A] bright, refreshing dry white with fruity aromas and a rich full taste. The wine is a brilliant light yellow in the glass with delicate aromas of citrus and pineapple. It has a full, lush mouthfeel, with tastes of lemon and peach and some minerality. It has balanced acidity with a long, pleasant aftertaste. ♦ Tight on the nose with a fine blend of mineral and subtle sage like aromas. Juicy on entry, this hits the palate with admirably purity and liveliness showing off very clear and tense flavors of dusty dry earth, yellow fruits, and a faint hint of yellow tomato that picks up where the sage on the nose leaves off. I really [liked?] the clarity this shows on the palate and tension in the mouth. Definitely towards the lighter bodied end of the spectrum, this is another wine with salty minerality that extends the finish, but accompanied by such a wonderfully refreshing purity of fruit. ♦ The wine starts with a citrus aroma mixed in with a slight dose of salty air. The wine tastes fresh and clean, with hints of minerality and decent acidity. Very natural and nicely done. ♦ [L]ively with nuts, white licorice, lemon oil, pineapple, and anise. ♦ Crisp and simple, with a clear color. Green apple and citrus notes. ♦ Lemons, grass, and wet stone backed up by a slight hint of apples. Crisp and refreshing green apple, lemon zest and chalk, it really tastes like champagne without all of the bubbles! Light and wispy, a hint of effervescence super long finish like mineral water. This wine is refreshing, a definite summer-sipper. ♦ Medium plus weight, crisp acidity, with tropical fruit and a briny finish, the Gavalas Santorini is amazingly delicious and very food friendly. ♦ [A] light, dry white wine that is crisp and compares to a pinot grigio in body, fruit and acidity. . . . This wine gives off notes of pear, lemon and pineapple and has nice body and aftertaste. These spectacular wines are so modestly priced, make your splurge to buy two or three.